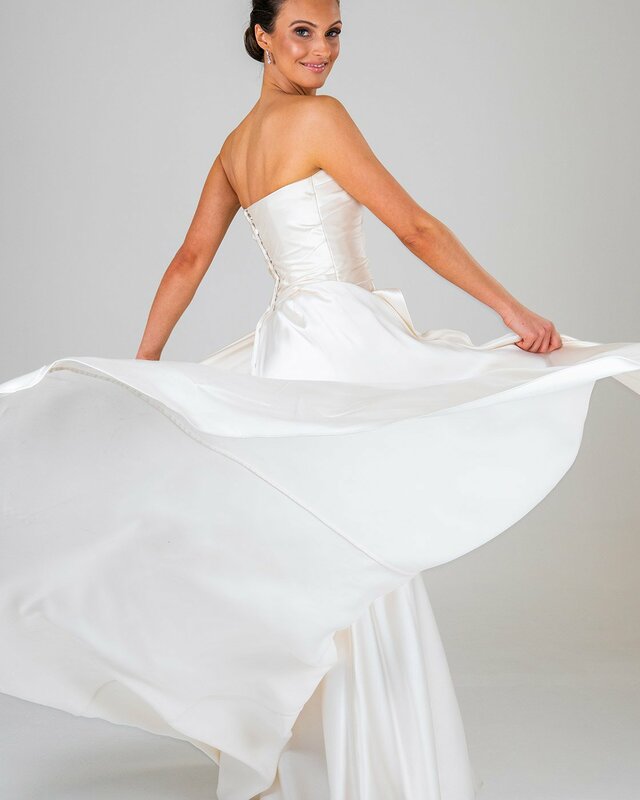 Our stunning drop waist ruched bodice, fitted underskirt, large overskirt and peplum for that flattering figured look. This silk beauty is stunning on every shape! As with all our gowns any design changed can be made such as: V neckline and straps, halter higher neck, capped sleeves, spaghetti straps, smaller/longer train, no peplum, beading, added belt or laces and more.